With strong SEO, your brand’s online reputation will also go up. Here are three ways to do it. There’s quite a bit to consider when managing your online brand. Simple PR efforts that may have been effective in the print age don’t have the same impact on the internet. There are several primary reasons for this. First, everybody on the internet has a voice. If someone has a gripe with you or your business, there is a platform on the internet for them to let you – and everybody else – hear about it. This gives the consumer, particularly the disgruntled consumer, a louder voice than ever before. Additionally, the ease of publishing online has made it so that anybody with something to sell can advertise their product. This is great for small business owners who don’t have the financial clout to advertise on old-school platforms like newspapers or magazines. It can also, however, result in your published material getting lost in an ocean of content. Fortunately, you don’t have to fire off your websites, advertisements and blog posts into the internet ether, just hoping that somebody will find them. Through search engine optimization (SEO), you can maximize the value of the words you use, and give yourself a good chance of showing up in a Google search for your product or industry. You know the ins and outs of your products, and you’ve become an authority on your craft. While your expertise is valuable, it’s more valuable, as you build your brand online, to gain an understanding of what your market knows about your craft. For example, you may be an incredible photographer. If you advertise your services using technical terms and touting jargon-y qualifications, other photographers might think you’re great, but people who actually need your services won’t know or care what you’re saying. Find keywords that your potential customers are searching for, and build your content around them. This way, when someone in your area is searching for a photographer, you’ve tailored your online content to answer their needs. With a bit of study, basic SEO isn’t hard to understand. As it is with all things, though, producing a top-notch end service requires a more experienced hand. Luckily, there are plenty of qualified professionals on the market who specialize in making sure their clients’ online reputation management is flawless. (They’ve got the portfolios to prove it – ask to see them.) Whether you’re trying to recover from a past PR mistake, a few bad reviews or inaccurate information, there’s no better way to take back control of your brand’s reputation than with a bit of SEO magic. 3. Pay attention to what’s trending. While you may not be able to unseat industry giants right away, you can use SEO to be quicker than them to address trending topics. If you can tell that a new area of service is opening up by keeping up with search trends, you can mobilize a marketing campaign to address the said trend. This way, you may get a chance to make a name for yourself and carve out a place in the industry before the established powers can get there. 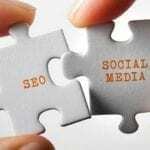 Through vigilant SEO work, you can find your niche and integrate yourself into a community, thereby forming a stronger identity and solidifying your reputation in the industry. 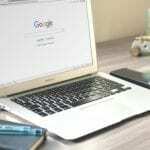 Again, SEO is not a perfect science, and this is by design – there’s little value to a system in which you can formulaically make yourself look good. If this were the case, every company would have an identical website to their competition. SEO, as it is, gives you the chance to stack the odds in your favor while maintaining your originality as a brand. Take advantage of it as you work to manage your brand’s online reputation.